Sliced Spanish Pata Negra acorn-fed ham from 100% iberian pigs from Extremadura fields. Artesanally Sliced Spanish Pata Negra acorn-fed ham, from 100% iberian pigs from Extremadura fields. 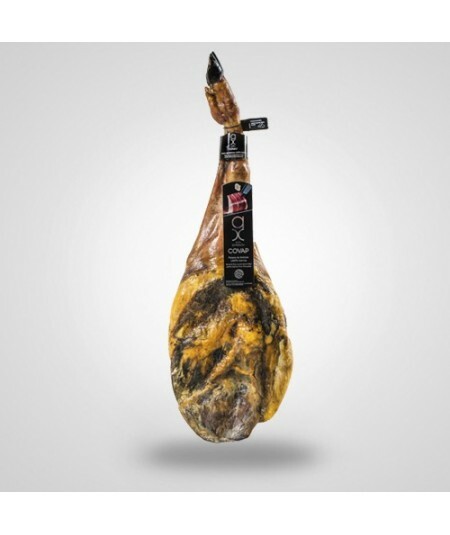 Hand sliced Spanish ham, made in traditional way from genetically selected 100% iberian pigs, acorns fed, exercised in Extremadura fields, with infiltration of unsaturated fat due acorn diet. Low salt content to enhance their own flavor and aromas. Healing 24 to 36 months approx. This set includes 18 packs of 100grams and an extra 100g chopped pata negra ham. 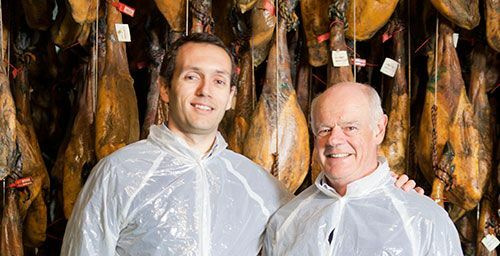 We fully recomend you to open the packs 30 min before enjoying the ham, and leaving them on a plate at room temperature to fully taste its flavour and aroma.